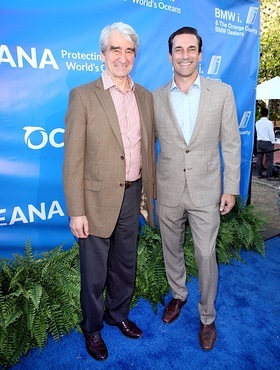 A number of stars attended the 8th annual SeaChange Summer Party in Dana Point on Saturday evening to support Oceana, the world’s largest ocean conservation organization. Among the attendees were Jon Hamm, January Jones, Kiernan Shipka, Sam Waterston, Beth Behrs, Michael Gladis, Aimee Teegarden, Nolan Gould, Billy Joe Armstrong, Oscar Nunez, Leonor Varela, Lilimar Hernandez, Olympic swimmer Aaron Peirsol and featured musical performer Bethany Joy Lenz. The event honored marine ecologist and National Geographic Explorer-in-Residence, Dr. Enric Sala, for his work to protect the world’s last pristine marine ecosystems. The sold out evening was held on the private beaches of The Strand in Dana Point for Oceana. Over 400 guests attended. 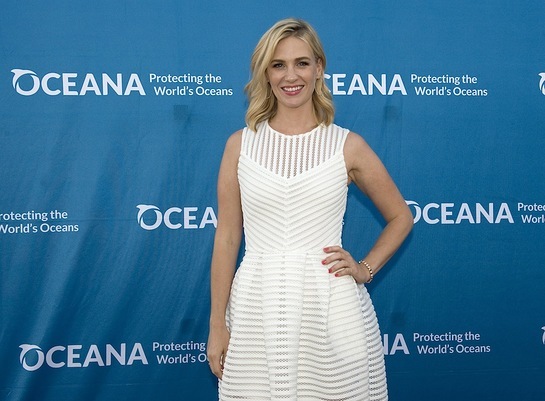 Oceana ambassador January Jones mingled with guests and addressed the audience about her work with Oceana to protect sharks. SeaChange guests were treated to specialty Nolet cocktails and a delicious dinner. The evening included presentations from Oceana executives and celebrity supporters. Guests also raised their paddles in both silent and live auctions. The program this year focused on Oceana’s Save the Oceans; Feed the World campaign, which aims to restore the biodiversity and abundance of the world’s oceans to support a growing global population. The evening was capped with a musical performance by actress and singer Bethany Joy Lenz. Party-goers then spent time dancing in the ocean breeze at the Post Party Lounge. The highlight of the evening auction was the lively bidding for an exquisite retreat at the Gili Lankanfushi Resort in the Maldives. Other items included Corum Watches, a Mikimoto White South Sea pearl necklace with matching earrings, custom suits from David August and Brioni, gorgeous handbags from Emilio Pucci, Versace, Bottega, Giorgio Armani, Fendi, Miu Miu, Bally, MaxMara, Longchamp and items from other South Coast Plaza luxury boutiques including Jo Malone, Baccarat, Salvatore Ferragamo, Prada, and Hervé Léger. Stunning jewelry was featured from Winston’s Crown Jewelers, Kimberlin Brown, Julia Post, J. B. Diamonds, Kendra Scott and more. 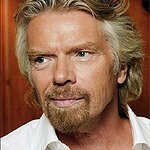 Fabulous trips included a getaway to Sir Richard Branson's private island in the British Vigrin Islands, a stay at the luxurious Amanyara in Turks & Caicos, and a vacation at the French Chateau of the Count & Countess de Vanssay in the Loire Valley. Other trips included stays at the Las Ventanas al Parasio in San Jose del Cabo, the Montage Kapalua Bay in Maui, the Chabil Mar in Belize, and the La Morada Hotel in San Miguel de Allende, Mexico. A BMW i8 Electric Sports Car and custom set of Louis Vuitton luggage was auctioned off to a lucky bidder. The SeaChange Summer Party is made possible by the generous support from various distinguished local and international businesses and philanthropists. Special thanks to presenting sponsor BMWi and the Orange County BMW Dealers, media sponsor Coast Magazine, liquor sponsors Nolet Spirits and Ketel One Partners, wine donated by Chloe Wine Collection and gift sponsors Bloomingdale’s Fashion Island and Links London. SeaChange partners and underwriters include the Harriet E. Pfleger Foundation, Tricia and Michael Berns, Eve and Mike Ruffatto, Wendy and Rick Aversano, Julie and Peter Hill, Jean and Tim Weiss, Elizabeth Wahler and LadyLux, Britt and Robert Meyer, Betsy and Andy Ackerman, Janet and Carl Nolet, The Fanticola and Knode Families, Nancy and Jim Salomon, Joanne Artman Gallery, Carol and Dennis Berryman, Fiona and Tod Bensen, Dr. Danni Sun, Barbara and Greg MacGillivray, Marisa and Steve Robbins, Laura and Lou Rohl, Versace, Bonnie Lee and Justin Pham, Leslie and Dino Cancellieri, Mary and John Carrington, Maralou and Jerry Harrington, Bloomingdales, Prada, Dior, Susie and George Wood, Ocean Institute, Laurie Rodnick and Thomas Moore, Bhadra and Mark Gordon, Barbara Streisand Foundation, Summer Crosley, Danielle Steakley, Commerce Printing, and Signature Party Rentals.